This ca. 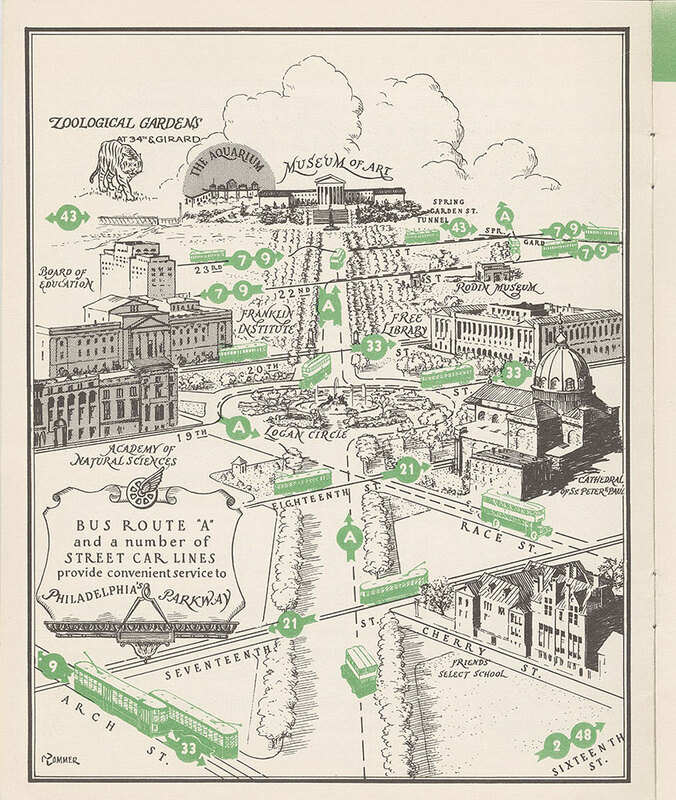 1935 sketch map of public transit routes along the Benjamin Franklin Parkway is on page 3 of a pamphlet published by the Philadelphia Rapid Transit Co. The pamphlet explains: "...the fact that the Parkway is a diagonal thoroughfare tends to confuse the normal street pattern with which we are familiar. The map...is an attempt to clarify this pattern and to show the many transportation lines which serve the Parkway." Apparently, the public needed coaxing to visit the impressive buildings on "Philadelphia's Parkway,...which is probably more often admired than utilized."